iberry BT07i Android 4.0 ICS Update! iberry BT07i now comes with Android 4.0 Ice Cream Sandwich. 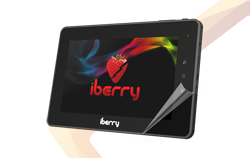 Enjoy and have fun with the all new iberry BT07i with ICS!